Andy Rahn will recap the 20th Annual Presentation on Rural MT Land Values & Trends given in Bozeman in early January at the monthly meeting of the Billings Farm & Ranch Brokers. The meeting will be at the Billings Association of Realtors (BAR) office at 2021 Overland Avenue in Billings 8:30 am on Thursday, February 7, 2019. 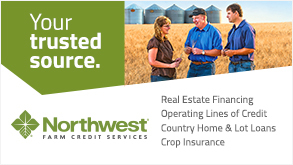 Northwest Farm Credit Services will sponsor donuts.